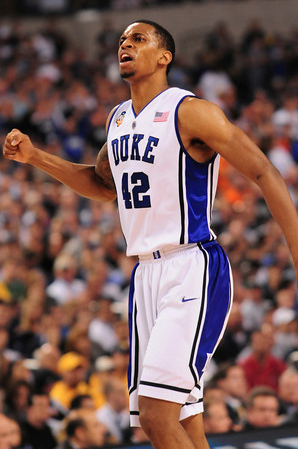 Kyrie Irving has announced his decision to enter the NBA draft and forego his final three years of eligibility at Duke. Kyrie leaves behind a difficult-to-digest legacy, as he only competed in 11 of Duke’s games this season. This writer, having been abroad in the fall semester, never got to see Kyrie play in Cameron, or in a live game at all. Although it’s incredibly disappointing to see him go, we cannot blame Kyrie for chasing his dream of playing professional basketball. 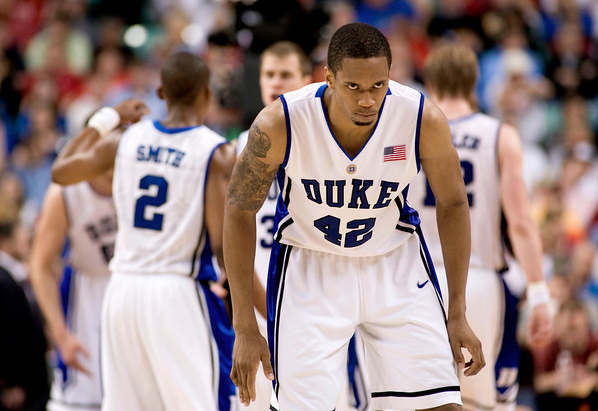 He is still a Blue Devil, and always will be. We wish him a great and healthy career wherever he ends up playing, and we hope he comes back to Durham to cheer on his team, as he did throughout his difficult injury. Enjoy these highlights from Kyrie’s first huge performance on a national stage–31 points, 6 rebounds and 4 assists against Michigan State. 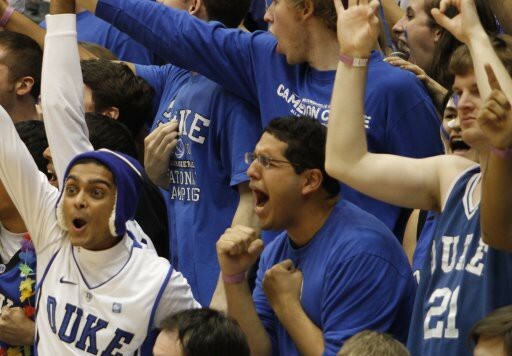 And then maybe this video on Duke’s upset of UNLV in 1991 will help ease your aching spirits. Yes, it was an upset, Seth Davis.